The U.S. Federal Bureau of Investigation agent in charge of the investigation of the shootings at two military facilities Thursday in Chattanooga, Tennessee, said the agency is investigating the shooter's motive. At a late-night news conference Thursday, Ed Reinhold said investigators have "no idea" of the motive behind the attack carried out by Muhammad Youssef Abdulazeez, 24, whom law enforcement identified as the shooter. Reinhold said there is "nothing now" that ties Abdulazeez to international terrorists. Four U.S. Marines were killed and two other servicemen wounded in the shootings at two military facilities in Chattanooga. The gunman was also killed. 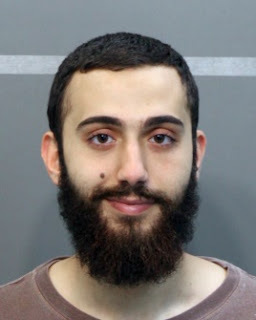 Abdulazeez lived in Hixson, Tennessee, just across the Tennessee River from Chattanooga. Authorities said he opened fire in a drive-by shooting at a military recruiting center at a shopping mall in Chattanooga where five branches of the military all have adjoining offices. Witnesses said the shots began about 10:30 a.m.Sgt. 1st Class Robert Dodge, 36, the leader for Army recruiting at the center, said he and his colleagues then got on the ground and barricaded themselves in a safe place. The gunman next drove about 10 kilometers away to the Navy Operational Support Center (NOSC), where witnesses say he unleashed a barrage of gunfire. The four Marines were killed at that center, and a sailor was seriously wounded. The shooter was killed by local law enforcement officials, who chased him from the first location. Tennessee Senator Bob Corker said Thursday this "senseless" act "has shaken our nation." Law enforcement officials said that Abdulazeez was not immediately found on any terrorism databases. "We have our recruiting centers set up in places easily accessible to the public – for example, a strip mall. So security there is not like we would see at a Fort Bragg or at a Norfolk Naval Air Station or at Quantico [Virginia]. So this is something that we have to face," Warren said. The Navy Operational Support Center, which sits in a light-industrial area, is used by Navy and Marine Corps personnel, and is often referred to as a "reserve center." The two entrances to the fenced facility have unmanned gates. "Very publicly ISIL [Islamic State] had called on their fellow jihadis to commit acts of terror," an official said. "In association with that public statement by ISIL, we did see an increase in chatter. None of it was very specific. The FBI has announced that they made some arrests. We monitor to see what force posture to take." From the Oval Office, President Barack Obama promised a "thorough and prompt" investigation, but said his main message right now is one of sympathy for the slain servicemen and their families.